By participating in ROTHY’S Referral Program (the “Program”), you (“You” or “Referrer”) may use a personalized link to share with your friends (“Referred Customers”) an online coupon code they can redeem for $20 off their first merchandise order from the Rothy’s online store totaling $30 or more (“Referral Code”). 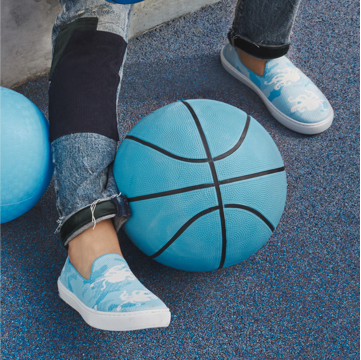 Get your personalized link at https://rothys.com/share or we may email you a personalized link when you checkout online. Subject to these Terms and Conditions (“Terms”), when your Referred Customer uses your active personalized link to make his or her first merchandise purchase from Rothy’s online store in a single order totaling $30 or more (a “Qualifying Purchase”), you will earn a reward code that you can use for $20 off a future merchandise order of $30 or more from Rothy’s (the “Reward Code”). Reward Codes ordinarily are distributed via email 24 hours after the completion of a Qualifying Purchase. Referral and Reward Codes are promotional in nature, can only be used in a single order, are valid only for Rothy’s footwear merchandise orders priced at $30 or more. You may not earn more than fifteen (15) Reward Codes in thirty (30) days or more than one hundred (100) Reward Codes in total. You may earn only one (1) Reward Code per Referred Customer, regardless of the number of purchases that your Referred Customer makes. To receive multiple Reward Codes, you must introduce multiple Referred Customers who make a Qualifying Purchase using your active personalized referral link. You cannot refer yourself to earn a Referral Reward and purchases by Referred Customers who share your email address, billing address or shipping information will not qualify for a Referral Reward. When sharing Referral Codes, you agree that you will always tell your Referred Customers that you will receive a reward from Rothy’s if they make their first Qualifying Purchase using your link. Referral Codes shared by Referrers cannot be combined by Referred Customers and a Referral Code can only be used for an individual’s first purchase from Rothy’s online store. Multiple Reward Codes issued using our Talkable.com rewards program platform after February 15, 2018 to the same Referrer will be combined or “stacked” for up to a maximum of $200 off a single Rothy’s merchandise order. 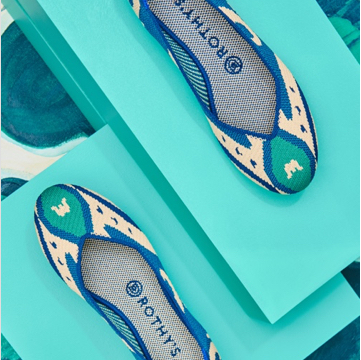 Referral and Reward Codes can only be redeemed for Rothy’s merchandise orders placed at the Rothy’s online store, https://www.rothys.com. Referral and Rewards Codes are not transferable, have no cash value, and cannot, under any circumstances, be redeemed for gift cards, cash or any cash equivalent. All stacked Reward Codes must be used at the same time in a single transaction. Once any portion of a Reward Code is redeemed to make an order, any unused reward value is exhausted, forfeited and will not rollover. Use it or lose it. Eligibility to participate in the Program is limited to individuals only. Rothy’s Program cannot be used by businesses or for affiliate lead generation or similar purposes, as determined in Rothy’s sole discretion. (Corporations are not people!) The use of multiple accounts, email addresses, online identities or aliases to circumvent the eligibility requirements and/or other limitations of these Terms is prohibited and may result in exclusion from the Program and the cancellation of all related rewards. You should only share your personalized referral link with your personal connections and you may not post or promote your referral link on Rothy’s social media pages or on coupon sites or other websites created to take advantage of referral traffic generated from individuals searching for coupons or other discount codes, as determined by Rothy’s in its sole discretion. You must also comply with all laws governing the transmission of email or other electronic communications. For example, emails must be created and distributed in a personal manner and bulk email distribution is prohibited. Any distribution of your referral link that could constitute unsolicited commercial email or "spam" under any applicable law or regulation is expressly prohibited. Rothy’s reserves the right to deactivate any referral links distributed through unauthorized channels and to revoke all related Referral and Reward Codes. Rothy’s reserves the right to close your account and deactivate or cancel all related links and Reward and Referral Codes if Rothy’s suspects that you (or any Referred Customer you refer to Rothy’s) has used or attempted to use the Program in a fraudulent or abusive manner or in violation of these Terms or applicable law.